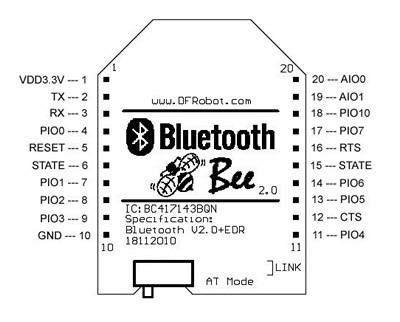 DFRobot Bluetooth Bee Bluetooth wireless module adapts XBEE design. It has compact size, the pinout is compatible with XBEE which is suitable for all kinds of microcontroller systems who have 3.3V power out, the module can use the AT commands to set baud rate. 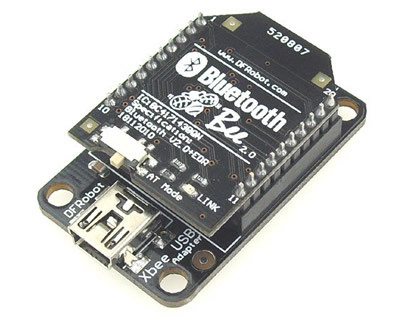 The Bluetooth Bee modules somes with an on-board antenna, the antenna provides better signal quality. It acts like a transparent serial port, which works with a variety of Bluetooth adapter and Bluetooth phone. 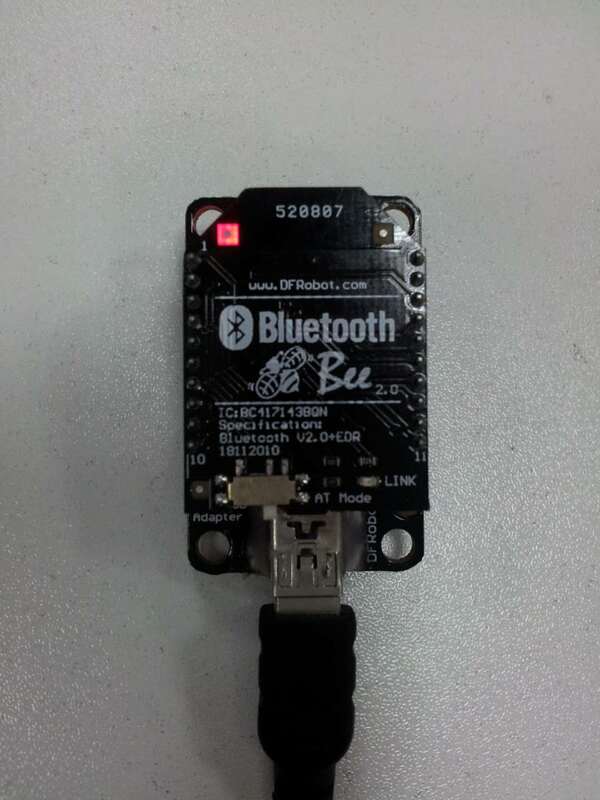 The bluetooth module has been tested with all the Bluetooth adapter on the market matching to use (with the Bluetooth, including laptops and mobile phones). 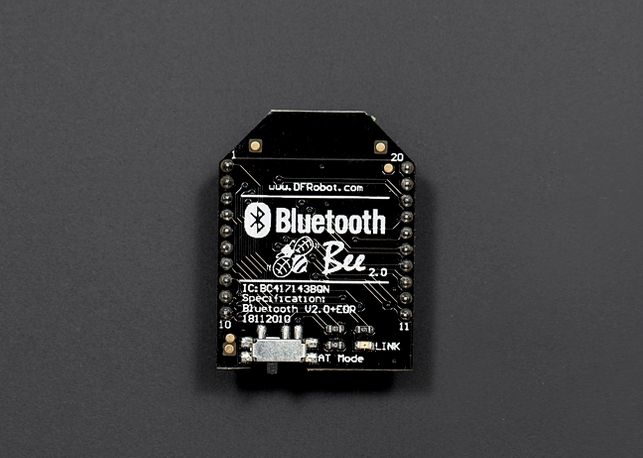 Bluetooth protocol: Bluetooth Specification v2.0 + EDR, not compatible with BLE. 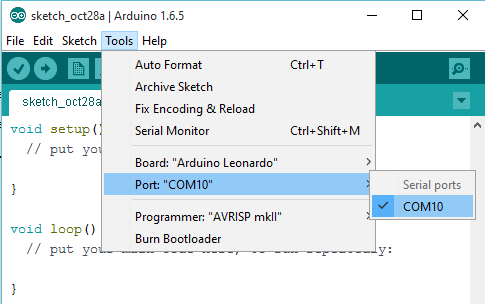 You will learn how to check and set the BT module's settings by AT command, and it's easy to connect this module with you phone and other BT2.0 devices. 3. Connect the Xbee adapter with PC by USB cable, the LED is ON. 3. 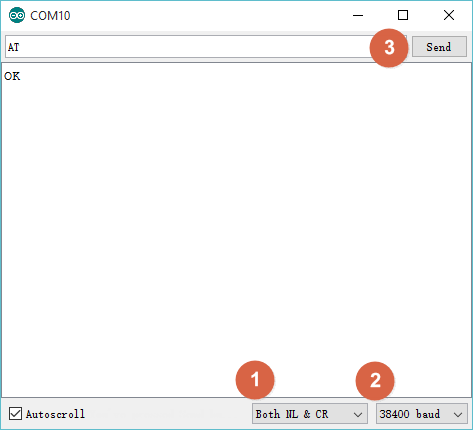 Send "AT+UART?" > Receive serial settings. 5. Remember to put the switch to left side: AT_off. AT+RESET > OK: It works as power cycle. 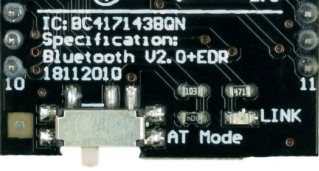 Except the Apple devices and BLE module by DFRobot, the Bluetooth Bee are compatible with most computers/ phones with built-in Bluetooth module and other bt modules. Q1. Inserted it to the Game Pad. Put the switch to AT mode. Tried the AT commands from the wiki and get nothing. What should I do? A. 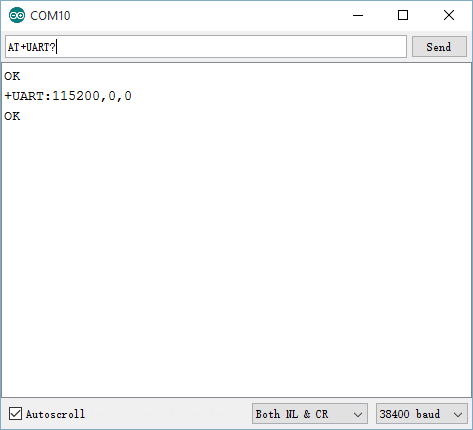 Once you inserted it on Game pad instead of a XBEE adapter, you can only use AT command in code, but it will become useless to use serial monitor sending AT commands.